Lots of Microsoft / Nokia / mobile numbers floating around: what do they mean? Microsoft has done well to capture 10% of Europe’s market share, but it’s a market where Nokia had traditionally done well. Will the brand change upcoming, when Microsoft will no longer be able to use the Nokia name for new phones, make a difference there? Another market potential for Microsoft is in India, where Nokia has also traditionally done well, and two new devices were announced for sale yesterday. 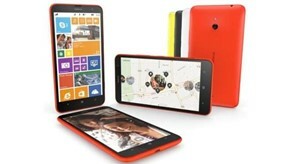 The Nokia Lumia 525 will go on sale in India for Rs 10999, or about $167 US, and the Nokia 1320, at Rs 23999, or about $384 US. These are great prices, and could continue to solidify market share there, where Windows Phone currently has about 5% market share and is growing. So, while it’s certainly not the worst news for Microsoft and Windows Phone, there’s still a big fight ahead and a long way to go before Windows Phone makes much of an impact on much of the world.